“Education” is one of FACE’s core beliefs. With this philosophy in mind, FACE has built its own FACE Academy platform, which serves dedicated training for Audio Visual Pro’s. 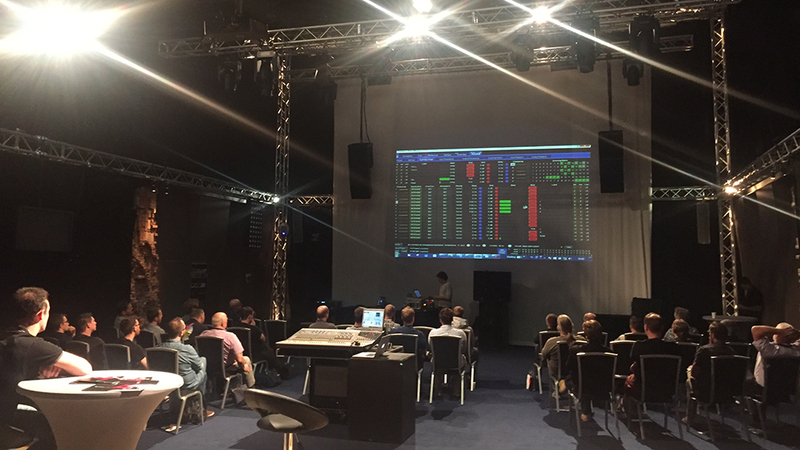 Academy sessions include regular training sessions and seminars on essential topics in the industry, usually for smaller groups. 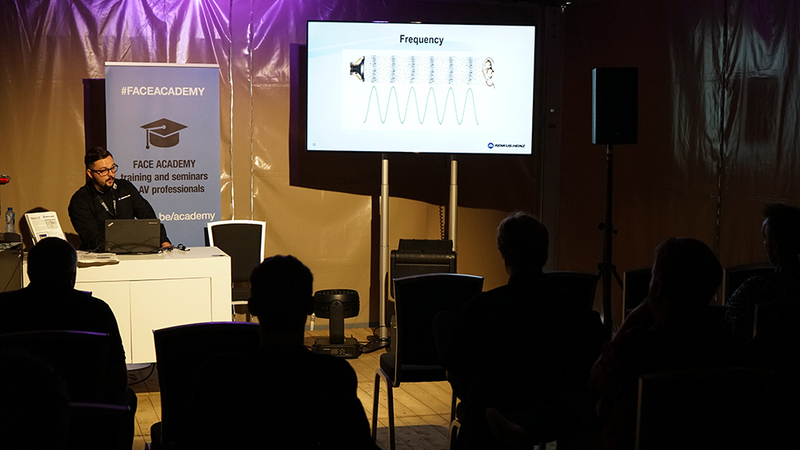 While these moments are a great opportunity to learn something new in a short amount of time, FACE SEMINAR SESSIONS increases the scale of the Academy, with a large event in order to bring people together and let peers share experiences and ideas. 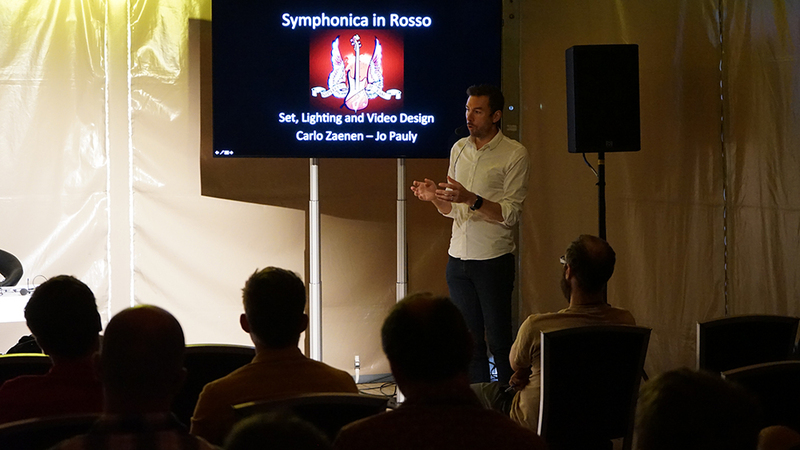 In order to bring a valuable learning experience keynotes consisted of a healthy mix of audio and lighting topics, taught by experts in the field and FACE’s in-house experts. Some of these topics will get a sequel on the FACE Academy platform so keep an eye on face.be/academy or get notified by mail. Bringing professionals together on a single “education focussed” event opens up a new level of learning. Rather than just “listening“, visitors can exchange ideas and opinions about the techniques and tools they use on the job every single day. Having the opportunity to sit with fellow sound technicians, lighting operators or designers allow people to find solutions for the problems they face every day. The keynotes are a great starting point for open discussions among fellow technicians, and fuel conversations during the breaks. With education as a clear focal point, FACE SEMINAR SESSIONS also wants to enable people to connect in an informal way. 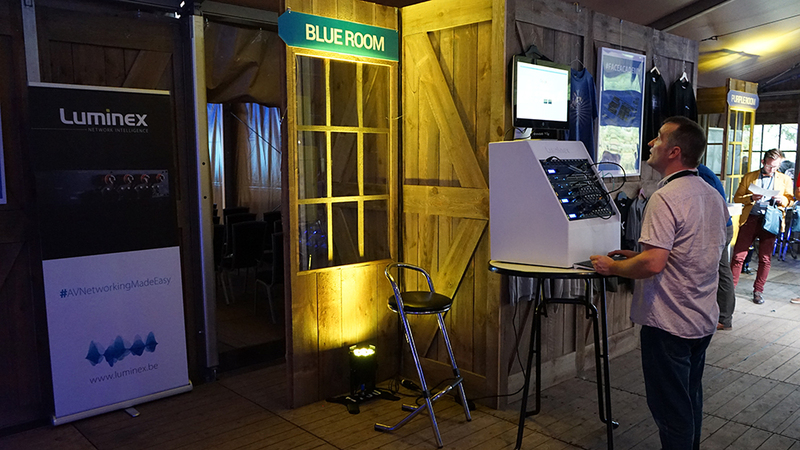 Unlike a traditional tradeshow, where networking feels like working, the sessions are broken up with informal moments, during which food and drinks are served, so people can interact with each other. After the sessions BBQ made for the perfect ending to a busy day.